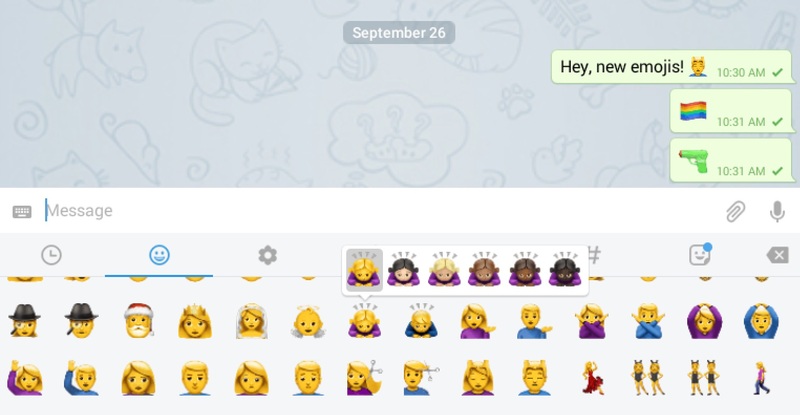 Telegram uses Apple emoji images instead of displaying platform-native emojis. These are updated to use the latest images from Apple, generally one month after public release on iOS. Telegram allows custom stickers to be uploaded, and assigned to certain emojis. Stickers can be assigned a relevant emoji, to apear as an emoji tooltip. Voice calls are also secured by emoji.